Preston died when he rolled out of a sleep positioner and against the bumper in his crib. He was seven weeks old. “On April 8, 2010, my life and the life of my family changed forever. 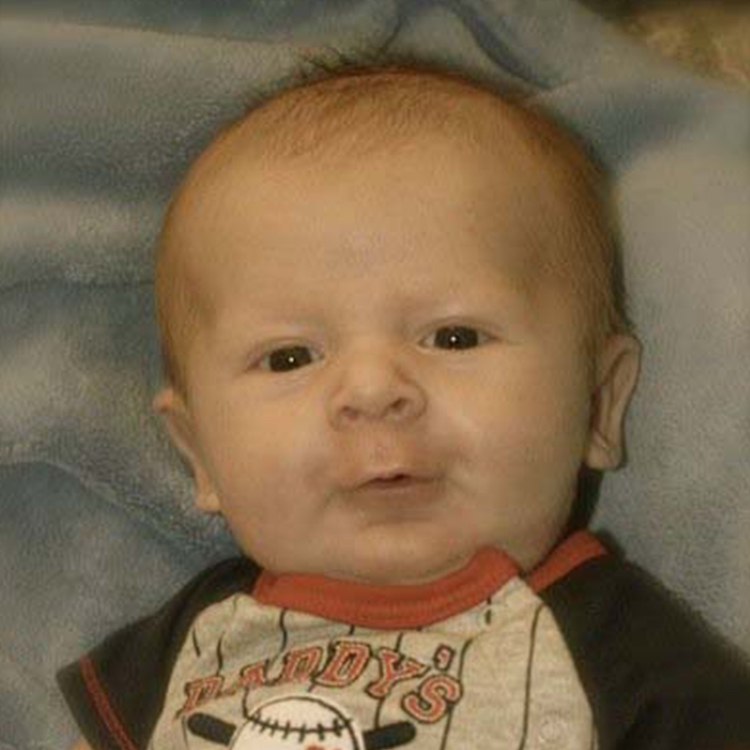 My seven-week-old son whom I was completely smitten with was found dead in his crib. Preston was placed in a Sassy Sleep Positioner in his crib with the baby monitor on full blast. That night, my husband had let me go to bed early and he was the one who placed Preston to bed. When we woke in the morning my husband immediately went to check on him — the scream that came out of my husband will haunt me forever. Preston was found in the corner of his crib having smothered to death as we slept. Even though he was swaddled and placed in a positioner where we thought he was safe somehow he rolled out of the positioner and into the corner of the crib where he smothered on the bumper pad and the mattress. The products I used I fully thought they were going to protect my child, not harm him. I was an educated mother only wanting the best. I am determined to join with other parents, grandparents and family members who have lost children to products that are being marketed as “safety” products that are in fact harmful and defective. My life has been turned upside down and I’ve lost most of what I had through this tragedy, but the products continue to be sold. CPSC and FDA did take action to issue a warning on sleep positioners, but there has been no action on crib bumper pads and no ban or recall on sleep positioners already in use. What’s Happened Since Preston’s Death? Since Preston’s death, the CPSC and FDA issued a strongly worded warning urging parents to stop using sleep positioners. They asked caregivers to rely on tested methods to reduce the risk of SIDS — back sleeping, bare crib, non-smoking household among others. After the warning in September 2010, manufacturers stopped making the product and retailers stopped selling them for the most part. Still, despite the death toll, sleep pillows or positioners are commonly sold online. Here at KID we are dedicated preventing online purchases of hazardous products through family education. It’s also up to brave families, like Preston’s family, to take action against these harmful products by sharing their stories and advocating against harmful products.